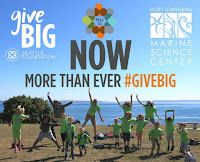 PTMSC Blog : Hear From Our Summer Camp Instructors & GiveBig Tomorrow! Hear From Our Summer Camp Instructors & GiveBig Tomorrow! Just because school is out for the summer doesn’t mean that learning has to stop! Longer days and lower tides mean more time to spend exploring the beach. 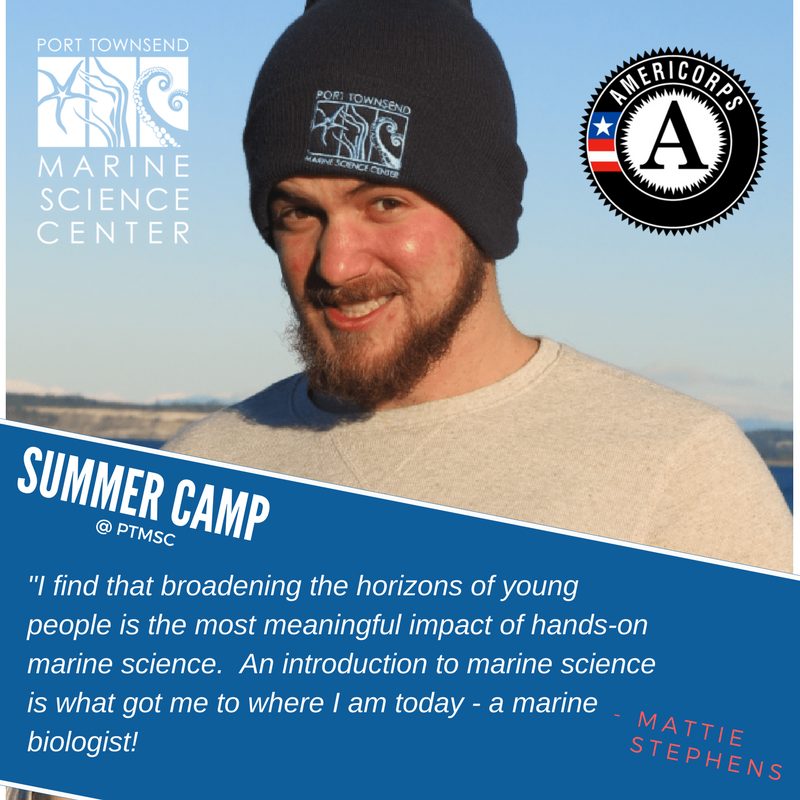 At PTMSC we run several weeks of camp each summer, providing hands-on marine science activities for children 3 to 13 years old. 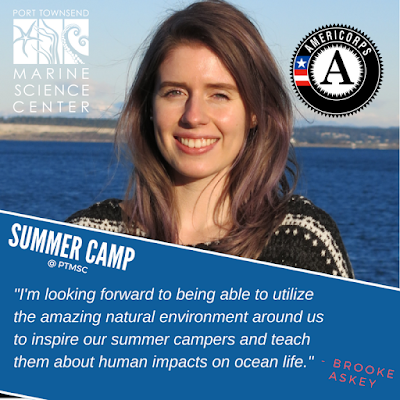 I’ve spent the past three summers working on science camps, including two years at PTMSC. I enjoy the opportunity to spend a week with a group of kids exploring and learning about the marine environment, and it’s especially satisfying to see learning happen while kids are having fun. The ability for both staff and campers to experiment and try new things out is one of my favorite features of our summer camps. 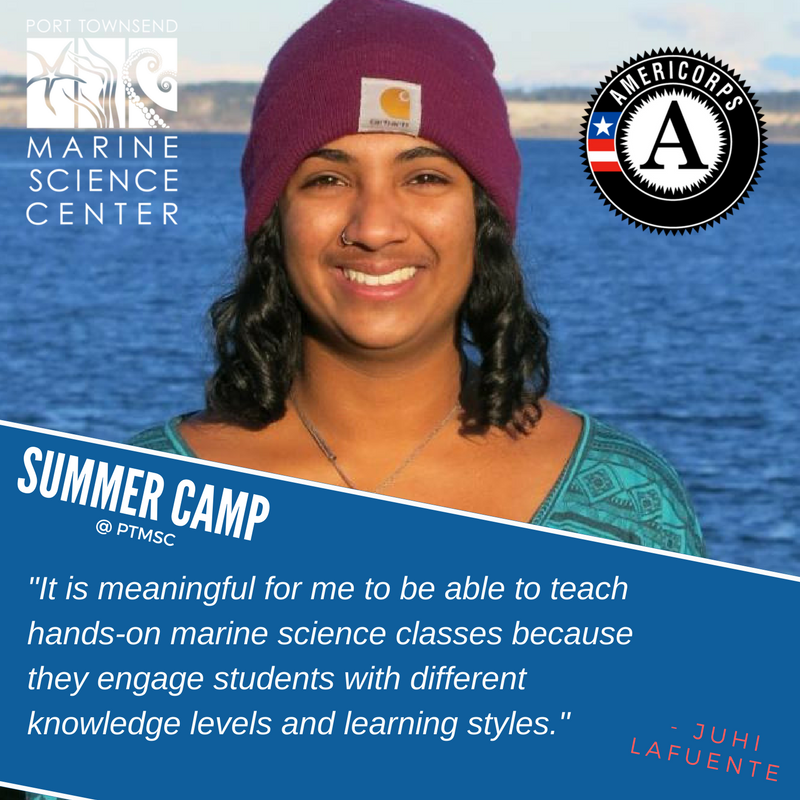 Many campers return to us year after year, which is a great opportunity to build on their knowledge and their relationship with the Marine Science Center. 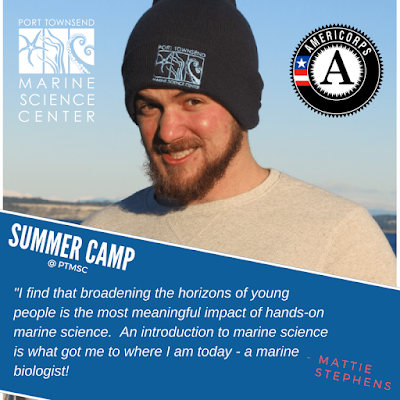 I’m most looking forward to expanded camp offerings this year, including an additional week of Marine Biology Afoot and Afloat. Many children have already been turned away this year because of full enrollment. Plans are in the works for expanded facilities and more camp offerings. 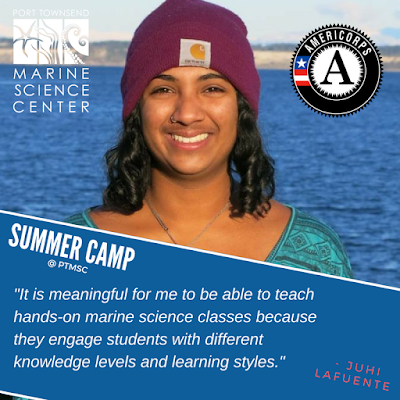 We couldn't do what we do without the amazing work of our Americorps members who are actively involved in the summer camp programs and engage with kids directly about the marine environment. I learn more every year about which experiences inspire the most excitement and passion in our campers, helping make each camp more fun and memorable. 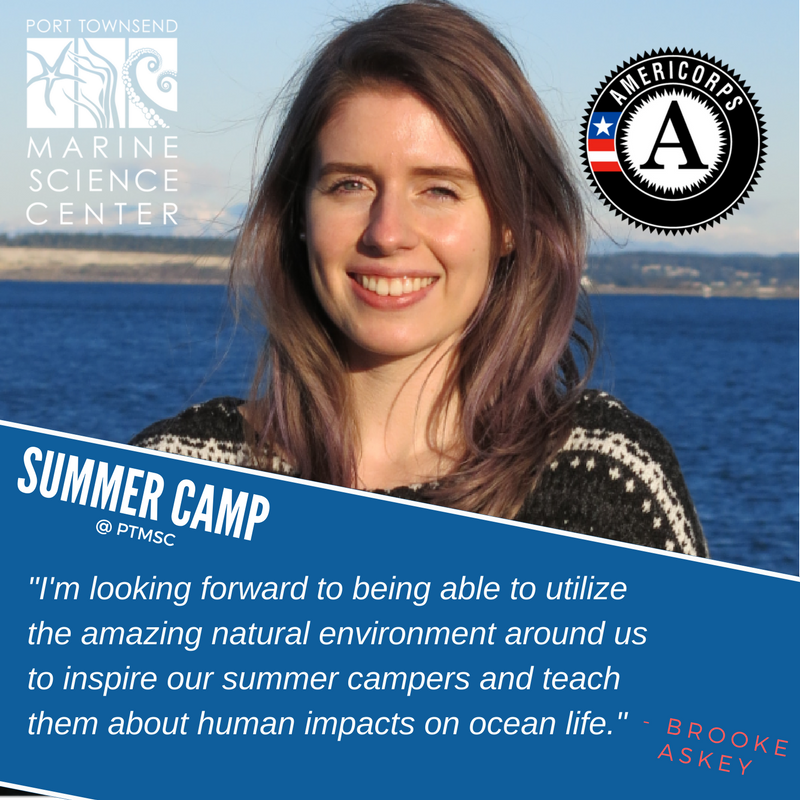 While planning programs I often think back to the outdoor education experiences I had as a child, and the impact that those activities had in shaping my interest in the natural world and my passion for conservation.